For many years, academic publishing was considered a man’s world. But a cursory read through the spring 2016 university press catalogues suggests that while gender disparities still exist, they are shrinking. Are manuscripts by female scholars garnering the same consideration as those of their male counterparts? What impediments are preventing women from producing books? And if the publish-or-perish mantra still holds true, what does that imbalance mean for women? Many academic publishers across the country express their awareness of these issues, but also note the many complexities that underpin the problem. There are no easy fixes, it seems. 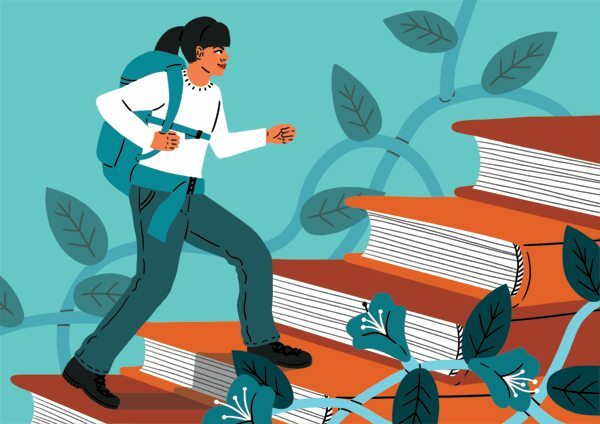 Q&Q asked three insiders to share their opinions about the challenges – and potential solutions – to increasing the number of female authors on university press frontlists. Lisa Quinn is associate director at Wilfrid Laurier Press in Waterloo, Ontario. WLP publishes 30 to 35 titles a year, focusing on subjects such as history, literary criticism, aboriginal studies, women’s studies, sociology, and life writing. Bruce Walsh is director at University of Regina Press. Since relaunching in 2013, the press has published titles focusing on aboriginal issues and the environment, as well as regional non-fiction trade titles. Erin Wunker is an author, editor, and seasonal instructor at Dalhousie University in Halifax. She is board chair of Canadian Women in the Literary Arts, a feminist organization that addresses gender gaps in book-review culture through its annual media count. Bruce, how do you feel University of Regina Press is doing in terms of gender representation? I was surprised to hear that, quite frankly. Even though the motto of our press is “A voice for many people,” we weren’t looking at gender. I went back to my team and I said we’re not publishing enough women, and so my scholarly acquisitions editor, Karen Clark, really made it a focus of what we’re looking for going forward. We sat down with the numbers. I think we now have 20 books by women in development, as opposed to 14 by men. We’re actively looking for women and that is why we have more now. I think it is an issue and we’re trying to be part of the solution. Lisa, does Wilfrid Laurier Press actively seek out women authors? Lisa Quinn: My perspective on this is somewhat different. I did a quick count of the authors or editors from our spring–summer 2016 list. I had a total of 24 authors and editors, nine of whom are men and 15 of whom are women. This mix is not atypical for us. I do wonder if that has something to do with the disciplines in which we tend to specialize. This is a press with a very strong literary-criticism list that traditionally has been split evenly between men and women authors. Our life-writing series is an area that is heavily weighted toward women authors, due to the mandate of that series, which is to represent lives that are not very well represented in mainstream publishing. It tends to be more characteristic of women, of various age groups, of different ethnic or immigrant groups, and to feature a strongly diverse author base. We also have a strong publishing program in cultural studies and gender studies, and I think that is part of what is influencing our breakdown with regard to male and female authorship. Are there still areas in which women aren’t publishing? Quinn: Some of this comes back to the question of discipline – I think this carries over to trade publishing as well. Certain areas are dominated or tend to be dominated by one gender or the other, and some areas are more known for having parity in terms of the people working in that area. So for an individual press – depending on what those areas of specialization are – it could be proportionately more or less of a challenge to develop parity. Quinn: I wholly agree with you on that observation, in terms of the attention that an edited collection gets as opposed to a single-authored monograph. I find it troubling that it’s the case. The kind of value that is placed on collaborative work and how we represent collaborative work is quite problematic. I feel like I’m about to venture into very dangerous territory in talking about masculinist discourse being that of the authorial voice or the single author. But at the same time, as a publisher I need to operate realistically. The review environment wants the sound bite and clarity of voice that comes from the single author. 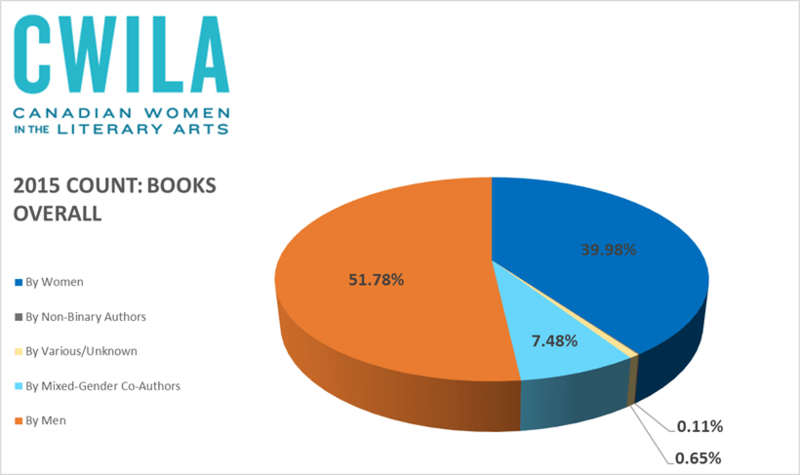 Erin Wunker: I was recently invited to speak to the Association of Canadian Publishers about the annual count that CWILA does, and to present last year’s breakdown of gender and genres for book reviews. We are making progress toward gender parity in so far as the CWILA audit. But one of the places we are still seeing a real disparity is in non-fiction. Non-fiction has a really heavy bias – the reviews that are written are by men about men’s non-fiction books. Quinn: I can’t help wishing that we could undertake the kind of count that you are engineering through CWILA for the scholarly environment. I look at my list and wonder how this matches up with review attention. Is the fact that I’m publishing more along the lines of gender parity actually reflected in the review attention that those books receive? How do you acquire manuscripts? Walsh: We had many conversations to get to that point where we have those 20 books in development by women. We’re out and about talking to people all the time and just having conversations. Often that is where it begins. Of course things come to us randomly. Quinn: Bruce, what you’ve described is a fairly common approach in that good publishers are having those discussions at every stage of the process. You’re always on the lookout for that wonderful idea, the strong narrative through-line, and dynamic research that is moving a field forward. Are women producing fewer manuscripts than their male colleagues? Wunker: Like many in my peer group, I have been teaching two and a half times what my tenured colleagues teach per semester since I graduated eight years ago, and then getting laid off each summer. I think that those conditions get exacerbated when you add in gender, race, and other kinds of marginalizing factors within systems like universities. Quinn: I think Erin is on the right track in that you have to look back at the modes of production: what is happening within the academy in terms of labour, training, career mentorship, and support. I could just raise the issue of childbearing, which is one good example of how complicated things can get in terms of expectations and timelines. Wunker: Anecdotally, I have been the managing editor and contributor to a feminist academic blog called Hook and Eye for the past five years. Time and again the refrain we hear from our roster of writers and our commenters is that on the ground in their universities or colleges, the bulk of the service work, the emotional labour – those who end up with the students crying in their offices and having to walk them over to Student Services – tends to disproportionately fall on the shoulders of women, or people of colour, or queer people. It also tends to happen to the younger, newer faculty or sessionals who seem most approachable. We have this incredible community crowd-sourced archive of testimony around women, people of colour, and queer people in the academy’s experiences of being so overburdened that they can’t write. Walsh: It goes right back to what Talin Vartanian had to say. She’s actually looking at the publishers’ catalogues and she’s seeing everything that comes through, and as she said, there’s not a lot of women writing non-fiction either in the academy or otherwise. So, I think there is real truth here. And I think hence the need to encourage women to take on that project, not just because of their own work but also to make a contribution beyond themselves. Walsh: That may be you, but our experience is that when we actually speak with female scholars about this issue and encourage them to take on a project on their own, people are saying yes. I think it’s so important to have the conversation. What else can editors and pub­lishers do to encourage more women to write? I want to know what kind of support I can offer, even if it’s to act as a sounding board about practical scheduling, to provide advice about seeking out editorial support, or pointing back to resources in terms of colleagues, departmental, and institutional support, which of course varies tremendously from situation to situation. But the writer should have the openness in the relationship to be able to say, as Erin just did, “Oh my God, I’m tired and I’m trying to write this book.” I think that’s all about dialogue. Walsh: Really that’s a big part. It’s encouraging people by saying, “Yeah I think you can do this. I think it’s a great idea. You’re a wonderful writer, give us a manuscript, we’ll do what we can to help.